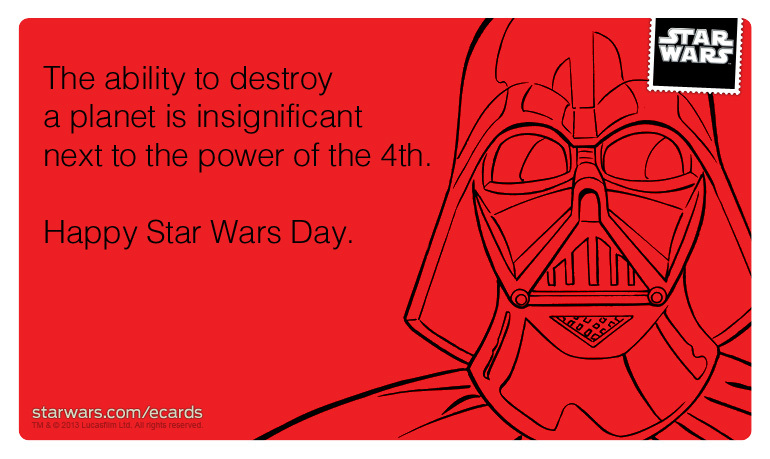 Today is known as Star Wars day to fans of the Sci-fi movies. I usually celebrate with drinks named for Star Wars characters and costumes. This year, I put my hair in Princess Leia buns at work. I joked that I had the Jedi force all night. But it got me thinking of having a force to stay sober. Maybe for people who have a hard time believing in a god as a higher power, they could believe in a Jedi higher power. 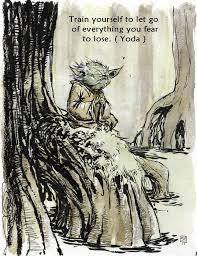 Yoda has a lot of great wisdom that could be used when dealing with sobriety. When I feel I need to drink, maybe I need to picture a little Yoda sitting next to me. He will tell me to use the force to stay sober. “Do. Or do not. There is no try.” I will play Jedi mind tricks on the urge to drink. Mistake # 103- A few years ago, I dated a guy that was a big Star Wars fan. We got along okay but his low self-esteem was very annoying and he was very clingy. I was moving away anyway so we broke up. I was back in town and invited him to join me and friends at a bar. The night was going well. We were having fun. We were drinking a lot of beers. Then I got drunk. I remember a little bit about fighting with him. But I do not know why. The next morning I woke up on my friend’s couch. I asked her what happened. She said I ran out of the bar and he followed. She came out and found us fighting by her car. She said I was yelling at him “See! This is why I broke up with you!” She did not know what we were fighting about but the scene was dramatic. I complained about him the whole drive to her place. She said she doubted I will ever hear from him again. Then I found a text from him apologizing. He said he was not sure what happened but he was sorry. I felt so ashamed for the scene I cause but also was annoyed that he was apologizing for my drunken behaviour. His low self-esteem again? But that does not excuse my bitchy performance. It reminds me I need to work on my self-esteem if I am going to live a good, sober life. Great post! I woke up this morning to read several “may the forth be with you” comments on Facebook and I totally thought about applying it to sobriety. We do need a sober force to keep us sober!! Maybe I will borrow that and think of Yoda when I feel the urge to drink. Yoda and Wolfie can battle it out! I often quote Yoda in meetings or when working with newcomers. He’s full of sobriety style wisdom! 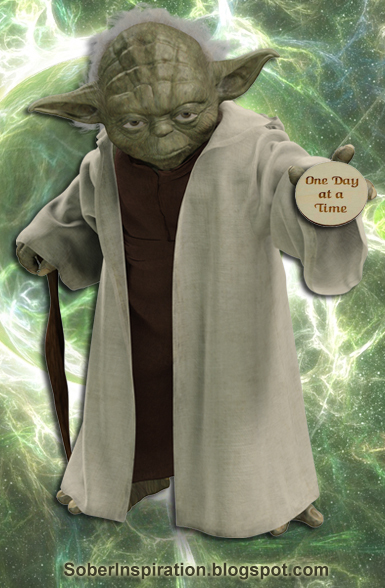 I have an atheist friend who jokingly says that his Higher Power is Yoda. I think it works. I have a pin on ceiling of my car and a sign above my desk “May the Force be With You”. Staying sober is the strongest force I ever felt.